2015 has been another tumultuous year in Australian Politics. There was a dramatic change in the leadership of the ruling conservative coalition between the Liberal Party of Australia and the National Party of Australia. 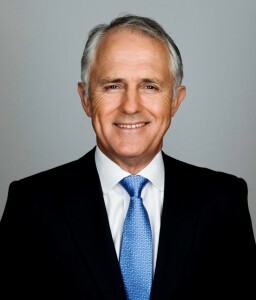 Tony Abbott was replaced as Prime Minister of Australia by Malcolm Turnbull. This change of leadership has been consequential for Australian copyright politics. The transition from Tony Abbott to Malcolm Turnbull has resulted in a re-positioning of the Federal Government’s approach to copyright law and innovation policy. Under the aggressive leadership of Tony Abbott, the Federal Government took a hard line on copyright enforcement. The film studio Village Roadshow made significant political donations to both the Liberal Party of Australia and the opposition, the Australian Labor Party. The Attorney-General George Brandis pushed through the passage of the Copyright Amendment (Online Infringement) Act 2015 (Cth), with the rather docile assistance of the Shadow Attorney-General Mark Dreyfus. The Internet site-blocking legislation was dubbed the worst piece of legislation by the Electronic Frontier Foundation in 2015. Village Roadshow has already launched a copyright action over the Solar Movie regime in the Federal Court of Australia to test the new regime. Moreover, the Attorney-General George Brandis pushed for a copyright code, governing the relationship between copyright owners, intermediaries, and Internet users. He scorned the recommendations of the Australian Law Reform Commission to introduce into Australia law a broad, open-ended defence of fair use like the United States. Furthermore, the Abbott Government was an enthusiastic cheerleader for the passage of the Trans-Pacific Partnership, with its arsenal of intellectual property enforcement measures. In contrast to Tony Abbott, who was hostile to science and technology, Australia’s New urbane Prime Minister Malcolm Turnbull has promoted an innovation agenda, and placed emphasis upon entrepreneurship, economic agility, and digital disruption. He has had significant exposure to intellectual property law and policy, as is well documented by Paddy Manning’s new biography, Born to Rule. Turnbull made his name in the ‘Spycatcher’ case, taking on and defeating the United Kingdom Government. As chairman of OzEmail, he was no doubt sensitized to copyright issues. The copyright collecting society APRA threatened an action for copyright infringement against the internet service provider, which was later settled. Turnbull took carriage of reforms of film copyright during the Howard Government. He seemed uncomfortable with a number of policies of the Abbott Government affecting the Internet. Peter Hartcher reported that Malcolm Turnbull battled with Tony Abbott over the proposal for copyright fines for Australian internet users. Turnbull was of the view that Abbott’s heavy-handed copyright proposals were ‘politically explosive.’ Interestingly, Turnbull has also been an outspoken critic of gene patents – a stance that has been reinforced by the recent High Court of Australia ruling against Myriad Genetics Inc.
Malcolm Turnbull has shifted the responsibility for copyright law away from the Attorney-General George Brandis to the new Minister for Communications and the Arts, Senator Mitch Fifield. Just before Christmas, in December 2015, the Ministry for Communications and the Arts released an exposure bill, the Copyright Amendment (Disability Access and Other Measures) Bill 2016 (Cth). The proposed legislation has several key components. A number of prominent Australians pushed for the World Intellectual Property Organization Marrakesh Treaty on Copyright Law and Disability Rights. Graeme Inness, Maryanne Diamond, and Ron McCallum provided eloquent testimony for the need for copyright law reform to address the problem of disability discrimination. The Director-General of the World Intellectual Property Organization Francis Gurry helped shepherd the agreement through the negotiations. The Australian Minister for Foreign Affairs, the Hon. Julie Bishop, has been a prominent supporter of the ratification of the agreement. The Copyright Amendment (Disability Access and Other Measures) Bill 2016 (Cth) seeks to provide access to copyright works by persons with a disability. Section 113E (1) of the bill provides that ‘a fair dealing with copyright material does not infringe copyright in the material if the dealing is for the purpose of one or more persons with a disability having access to copyright material.’ Section 113E (2) considers a number of matters to be taken into account in an assessment of fair dealing. Section 113F deals with the use of copyright material by institutions assisting persons with a disability. The digital era creates the potential for vastly improved access to copyright material for people with disability. However current legislative arrangements mean that this potential is not fully realised. The Copyright Act provides for a statutory licence for institutions assisting people with disability. The licence allows these institutions to make accessible versions of copyright works, but its scope of the licence is limited, the administrative requirements are onerous, and it has not facilitated the establishment of an online repository for people with print disability. The exceptions available for individuals—fair dealing, format shifting and the s 200AB ‘special case’ exception—are also limited in their scope. The widespread use of technological protection measures (TPMs) is creating significant barriers to access for people with disability. The Australian Law Reform Commission recommended that access for people with disability should be addressed by a broad defence of fair use. The alternative proposal of the Australian Law Reform Commission was the introduction of a defence of fair dealing for the purpose of access for people with a disability. This fall-back option has been the one adopted and embraced by the Federal Government. The Copyright Amendment (Disability Access and Other Measures) Bill 2016 (Cth) also proposes reforms in respect of copyright exceptions for public libraries, parliamentary libraries, and public archives. Section 113H of the Copyright Amendment (Disability Access and Other Measures) Bill 2016 (Cth) provides that an authorised officer of a library or an archives does not infringe copyright by using material for the purpose of preserving the collection comprising the library or archives. This measure is subject to further procedural qualifications. This reform is designed to address the rather clumsy way that Australian copyright law deals with cultural preservation. The moral rights regime has a clearcut exception for preservation. However, the system of economic rights has not dealt with the issue very clearly thus far. In Australian, there has been much concern about the indefinite duration of copyright protection for unpublished works. 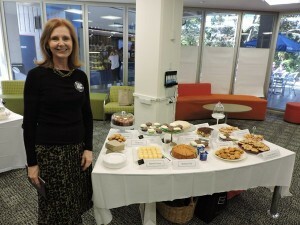 In response, Australian librarians held a Cooking for Copyright protest in 2015. Baking Bad, the librarians shared recipes of unpublished works on social media, and engaged in cooking festivals with the illicit recipes. The event was a runaway success, with massive media coverage of the issue, and wide popular support. The Copyright Amendment (Disability Access and Other Measures) Bill 2016 (Cth) seeks to address the issue in respect of term of protection. The Department of Communications and the Arts emphasize: ‘The proposed amendments seek to harmonise the copyright term for published and unpublished works by creating a new general protection period of life plus 70 years that does not differentiate between published and unpublished works.’ The legislation proposes that the general term of protection would apply to works made before 1st January 2018 that remain unpublished at that date. The amendments also propose to deal with the situation of unknown authors, and Crown copyright. Since the passage of the Copyright Amendment (Digital Agenda) Act 2000 (Cth), Australia’s ‘safe habour’ regime has been limited to traditional service providers, such as telecommunications networks and internet service providers. For many years, Google and other information technology companies have been lobbying successive Federal Governments for a more expansive definition of service providers. Such companies have been fearful of being exposed to copyright infringement lawsuits in Australia, without the protection of a ‘safe harbour’ regime. Copyright owners, though, have fought against an expansion of the ‘safe harbour’ regime. The Copyright Amendment (Disability Access and Other Measures) Bill 2016 (Cth) proposes to expand the current ‘safe harbour’ provisions in the Australian copyright legislation to include a broader range of entities. The Prime Minister Malcolm Turnbull and the Treasurer Scott Morrison have mooted the repeal of parallel importation restrictions in respect of books. The parallel importation restrictions have been widely criticised by the High Court of Australia, the Australian Competition and Consumer Commission, the Productivity Commission, and Australian parliamentary investigations into IT Pricing. There has been great concern that publishers have used parallel importation restrictions to keep book prices high in Australia, and to restrict foreign competition. Rather shrilly, publishers and authors have accused the Turnbull Government of ‘ideological vandalism’. However, looking at the text of the provisions, the parallel importation restrictions do not serve any direct purpose of protecting local cultural content. Indeed, under international intellectual property agreements, the Australian Government would not be able to discriminate in favour of local authors and publishers, without breaching the basic principle of ‘national treatment’. The Copyright Amendment (Disability Access and Other Measures) Bill 2016 (Cth) does not contain, though, any legislative measures to repeal the parallel importation restrictions in respect of books. The Copyright Amendment (Disability Access and Other Measures) Bill 2016 (Cth) does not address the larger question of whether Australia should have a defence of fair use like the United States. Fair use also facilitates the public interest in accessing material, encouraging new productive uses, and stimulating competition and innovation. Fair use can be applied to a greater range of new technologies and uses than Australia’s existing exceptions. A technology-neutral open standard such as fair use has the agility to respond to future and unanticipated technologies and business and consumer practices. With fair use, businesses and consumers will develop an understanding of what sort of uses are fair and therefore permissible, and will not need to wait for the legislature to determine the appropriate scope of copyright exceptions. A defence of fair use would be an agile, innovative, and disruptive policy option, which would help reinforce the Turnbull Government’s Innovation Agenda. The failure to address fair use would leave Australian innovators, entrepreneurs, and digital disruptors at a significant disadvantage. Start-ups in Silicon Valley, Boston, and Brooklyn have been able to thrive, with the help of the protection afforded by the United States defence of fair use. By contrast, Australian innovators would be exposed to the threat of actions for copyright infringement, given the narrow and limited operation of the defence of fair dealing. The problem would be further exacerbated by the possible passage of the Trans-Pacific Partnership. The Trans-Pacific Partnership would provide for stronger, longer copyright protection throughout the Pacific Rim, and empower incumbent copyright industries, rather than start-ups and digital disruptors. As Maira Sutton points out, the Trans-Pacific Partnership poses certain threats and challenges to copyright defences and exceptions – like the defence of fair use. It is an exciting time to be a copyright lawyer in Australia. The new Prime Minister Malcolm Turnbull has shifted the Conservative Coalition back towards a more centrist position in respect of Australian copyright politics. He has emphasized that copyright law should not only protect the private interests of copyright owners, but it should also promote innovation, competition, and the larger public interest. There have been a number of modest but meaningful copyright law reforms mooted in the new Copyright Amendment (Disability Access and Other Measures) Bill 2016 (Cth). Such measures address longstanding problems in respect of copyright law and disability rights; cultural preservation; the copyright duration of unpublished; and safe harbours. The proposals are still provisional and contingent. It remains to be seen whether this bill will pass before the next Australian election. Turnbull and his Treasurer Scott Morrison have also considered the repeal of anti-competitive parallel importation restrictions. There is a need for the new Turnbull Government to address the Australian Law Reform Commission’s outstanding proposals in respect of copyright exceptions and the digital economy. A defence of fair use would be of particular help and assistance for Australia’s innovators, entrepreneurs, and digital disruptors. The future balance and equilibrium of Australia’s copyright laws will also be affected by the potential passage of the Trans-Pacific Partnership, with its expansive Intellectual Property Chapter. Dr Matthew Rimmer is a Professor in Intellectual Property and Innovation Law at the Faculty of Law in the Queensland University of Technology (QUT). 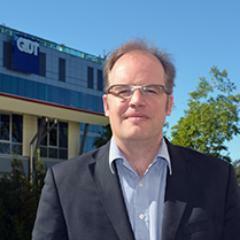 He is a leader of the QUT Intellectual Property and Innovation Law research program, and a member of the QUT Digital Media Research Centre (QUT DMRC), the QUT Australian Centre for Health Law Research (QUT ACHLR), and the QUT International Law and Global Governance Research Program (QUT IL GG). Rimmer has published widely on copyright law and information technology, patent law and biotechnology, access to medicines, plain packaging of tobacco products, intellectual property and climate change, and Indigenous Intellectual Property. He is currently working on research on intellectual property, the creative industries, and 3D printing; intellectual property and public health; and intellectual property and trade, looking at the Trans-Pacific Partnership, the Trans-Atlantic Trade and Investment Partnership, and the Trade in Services Agreement. His work is archived at SSRN Abstracts and Bepress Selected Works.